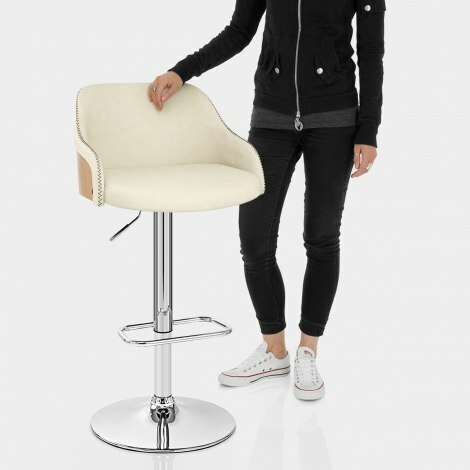 Combining the traditional with the modern, the Fusion Oak Stool Cream is an exclusive piece full of originality and character. 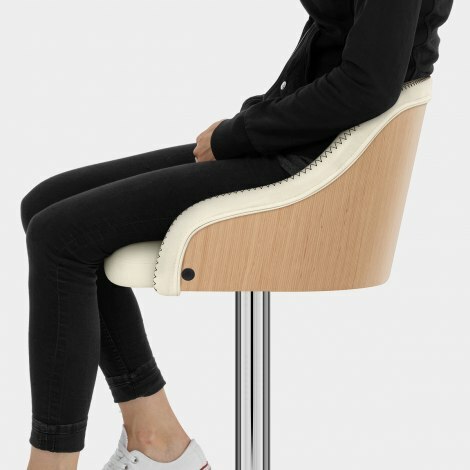 Densely padded, the seat is upholstered with cream faux leather and is surrounded by an encompassing backrest that curves to form two arms. Encased in an oak finished bentwood shell, the medium back has matching piped edging and contrast zigzag stitching for a touch of unique style. 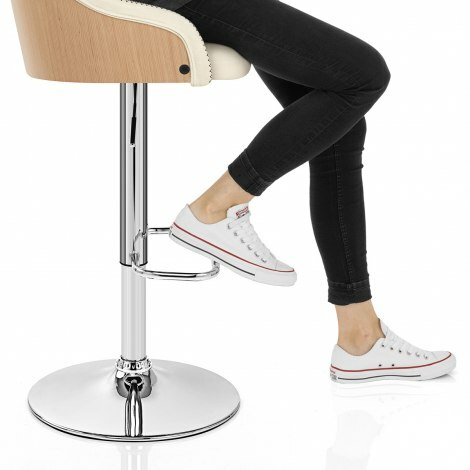 The stool is kept sturdy by the round base and chrome column, which includes a variable height gas lift mechanism and 360-degree swivel, whilst a rectangular footrest provides additional support. Plus, in an effort to keep your floors safe, the underside is complete with a protective rubber guard, making the Fusion as versatile as it is stylish. Delighted with product and delivery service.